An old classic, this Blues Brothers Costume does the job if you’re looking for something to wear to a 1970-80s/Music/Film themed fancy dress occasion. This costume includes Suit Jacket and Trousers. 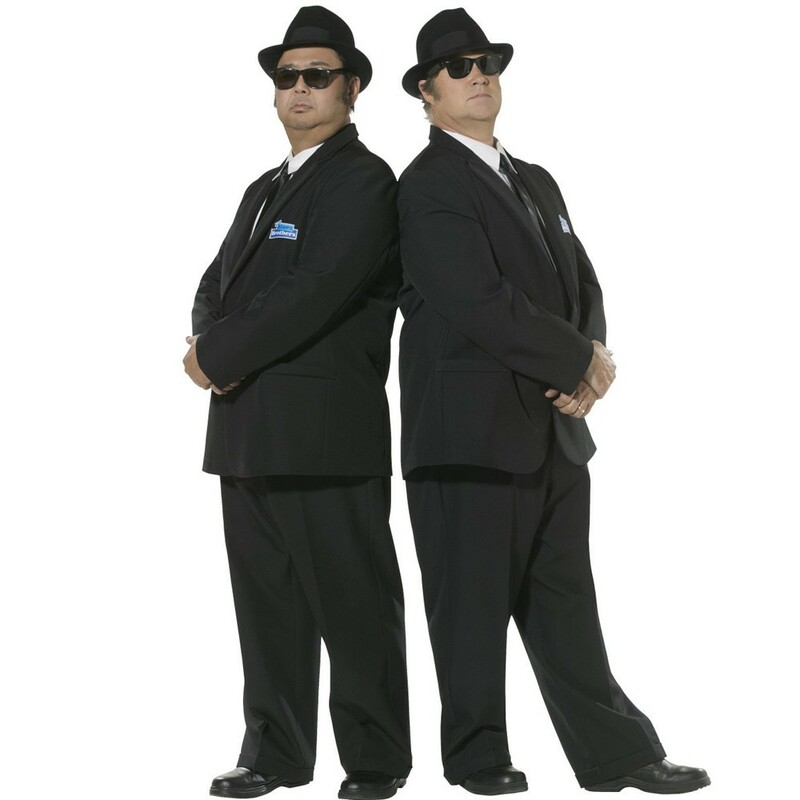 Pair up with a friend or partner in a fabulous Blues Brothers Costume, ideal for Decade/Music/Film themed fancy dress occasions. These licenced costumes include suit jacket and trousers. The suave black jacket is in a blazer style, the jacket has a blue ‘Blues Brothers’ logo on the front. The long black trousers are in a loose fitted style to match the purpose. The trousers have an upturned bottom finish. Attend a fancy dress party with one of these great Blues Brothers Costumes, perfect for single dressing up and even better when pairing up with a friend to a 1970/80s themed fancy dress event! Blues Brothers Costume including Suit Jacket and Trousers.